We are living in a unique era in U.S. history. A political party that long ago embraced radical extremism on many issues was able to hide that from much of the public, with the help of a mainstream media that was willing to turn itself into that political party’s propaganda arm. Throughout the 1960s, 1970s, 1980s, 1990s, and even into the 2000s, the Democratic Party was able to keep its mask of being a pro-American, mainstream political entity firmly in place. Starting with the election of Barack Obama as president in 2008, however, that mask began to slip. Top Democratic politicians and thought leaders, having just won a presidential election against the lackluster campaign of Sen. John McCain of Arizona, engaged in what now looks like foolish triumphalism. The words “Permanent Democratic Majority” were thrown around by talking heads on television, with left-leaning pundits confidently asserting they just couldn’t see how Republicans could possibly win another election, now that Obama was about to lead America to the Promised Land. Eight years of watching how Obama intended to use the powers of the federal government to coerce America to enter the Democratic version of the Promised Land caused many Americans to revolt. So, far from shuffling off to its demise, the Republican Party recovered from its 2008 defeat well enough to make gains in Congress in the 2010, 2012, 2014, and 2016 elections. “Control of the executive branch means control of the federal agencies and indirect control of the judicial branch through appointments to the bench. As long as you have control of the executive branch, you have control of the federal government. You can use that to hold a hostile Congress in checkmate. Donald Trump won the 2016 election, and all the things he’s accomplished in the Oval Office since—deliberately reversing all the ‘progress’ the Democrats had made—have literally goaded them into dropping their mask and showing all Americans their true face. The still-unfolding fiasco in Virginia, in which state Delegate Kathy Tran introduced a bill—she didn’t even seem to understand all that well—that literally would legalize infanticide, grabbed the attention of the entire country. Video footage of Tran having to have her own legislation explained to her by a lawyer from NARAL (National Abortion Rights Action League) appears to reveal that Tran was only submitting the measure on behalf of NARAL and other pro-abortion groups. She didn’t even understand it herself, and it’s becoming clear that neither did other members of the House of Delegates who had backed it. As if that wasn’t bad enough, Virginia Gov. Ralph Northam went on a radio show and droned on, in completely unemotional fashion, about how a baby born alive would be kept ‘comfortable’ while a discussion ensued as to whether to end that infant’s life or not. As you can imagine, when a video of that interview went viral on social media, plenty of people were horrified. For decades, Democrats have been able to hide their radical positions on late-term abortion and infanticide, while simultaneously painting the other side in this crucially important national debate—the pro-life side—as being the “real extremists.” They’ve been able to pull off this neat double-trick with the complicity of the media, which allows them to lie by using weasel words and euphemisms to describe killing viable infants in the second and third trimesters. For decades, slanted press coverage allowed the Democratic Party to hide its real positions on the abortion issue. But in just the past few years, the ground has shifted and things have changed dramatically in this country’s national debate on abortion. The absolute horror uncovered in the Kermit Gosnell case shined a long-delayed spotlight on late-term abortions in the United States. Gosnell not only murdered viable infants very late in a pregnancy, but horrified investigators also discovered he actually kept trophies stored away in freezers on the premises. In case you’ve never read the grand jury’s report on the horrors found inside Gosnell’s clinic, I covered that extensively on my blog. The mainstream media tried to hide the scandal of the Gosnell case by simply refusing to cover it and dismissing it as a “local news story” that only people in the state of Pennsylvania were interested in. Many state legislatures are recognizing that medical advancements in the past decade are allowing for premature babies to be saved at a much earlier stage. In a dramatic change, as young as 24 weeks is now considered the cutoff point of viability for a preemie. Despite intense opposition from the pro-abortion lobby, states such as Texas were successful in tightening the legal abortion limit to 20 weeks (5 months) from 26 weeks (6 ½ months). Note that by week 26, four of every five premature infants are being saved. This explains why states are right to take this into account when looking at their legal abortion limit. Roe v. Wade, the landmark 1973 Supreme Court ruling that legalized abortion nationwide by striking down all state laws prohibiting the practice, used viability as the standard. In the 1970s, it was rare for babies born three months premature to survive. That’s no longer the case, and it’s of paramount importance for state laws to reflect that truth. A series of undercover videos shot by citizen journalists from The Center for Medical Progress demonstrated beyond a reasonable doubt that Planned Parenthood, the nation’s largest abortion provider, was engaged in a conspiracy to violate the laws on human organ sales. Planned Parenthood used the courts to block the release of further videos while using its media allies to attack the videos as ‘edited’ and ‘doctored.’ In a recent court case, however, it was ruled the videos are authentic. 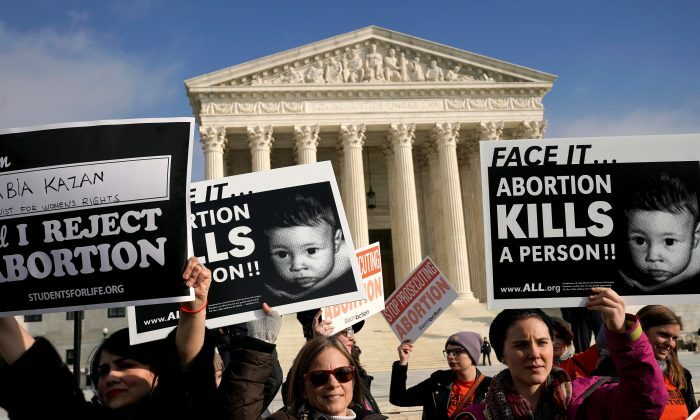 The Gosnell case and the videos forced Democrats out of the tall grass of the vapid, vague, ill-defined “pro-choice” language they’d been successfully using and into the open, where they had to explicitly argue for what they wanted. And what they wanted was for abortion to stay legal in states at 6 ½ months into the pregnancy. And now? It’s becoming increasingly clear the Democratic Party is going “all-in” on late-term abortions, even late into the third trimester, as New York State’s recent abortion law and the Virginia scandal starkly demonstrate. The polls have consistently shown over the decades of the heated abortion debate in the United States that support for legal abortion drops precipitously after the first trimester. Only an average of 8 to 14 percent of Americans support legal abortion in the third trimester. You can thank the Democratic Party for that. 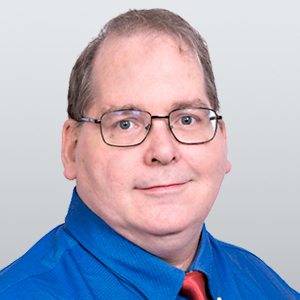 Brian Cates is a writer based in South Texas and author of “Nobody Asked For My Opinion … But Here It Is Anyway!” He can be reached on Twitter at @drawandstrike.